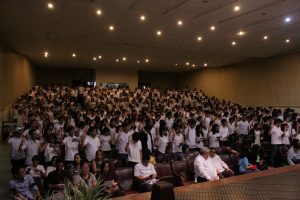 The event is a mark of our NSTP students’ transition in becoming National Service Reserve Corps. The ceremony also serves as a challenge to students to continue volunteer work and community service through NSRC. The graduating students received a certificate of recognition with their serial numbers on it and an NSRC pin as a symbol of their transition. The graduation ceremony was participated by different colleges and their partner organizations that were also recognized in the event. The entire graduation activity allowed us to strengthen our connection and relationships with different units and colleges within the University.